The past couple of weeks have been REALLY REALLY exciting for me. From winning fourth place in the Light as Air Contest to having a mural displayed downtown but today we are going to talk about something that is 0% photography related. Something I just purely think is fun and brings me a great amount of joy. If you guessed goat yoga, you would be correct. I've actually wanted to do this for a while after first seeing it on facebook. 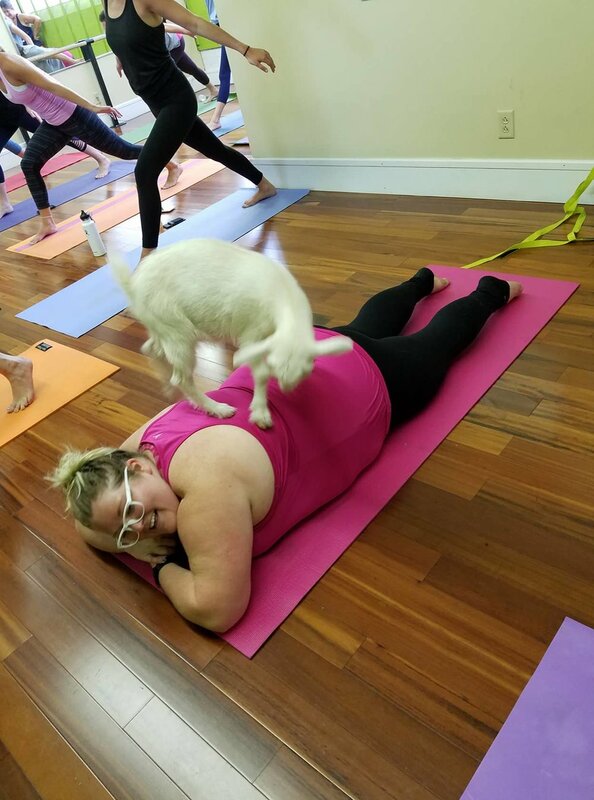 I had already done cat yoga a couple times and needed to check this one out because really, what could be better than a baby goat jumping on your back while you're in the middle of cat cow pose. Thankfully last weekend I got the chance to check it out in all it's glory at a place in Covington Kentucky called Corestrong. It was literally everything I had hoped it would be and more. Each goat took their time going around the room getting love and a good scratch from everyone. Some even spent some good quality time standing on peoples backs in-between postures. It literally was one of the cutest things I've ever seen. We didn't just play with goats though, we did actual yoga in between all the adorable cute moments and funny ones too. I learned I've gotten much better at holding a plank pose. So that's a win right? I think the highlight of the entire time was when one goat jumped on someones back and then promptly decided it was time to go to the bathroom. (Yes on her and then turn around and pull a number 2 on the other side) She was an excellent sport about it and grabbed a new shirt and carried on with class. I guess that is just something you have to expect when doing anything with animals. However, I will say it was incredibly funny. 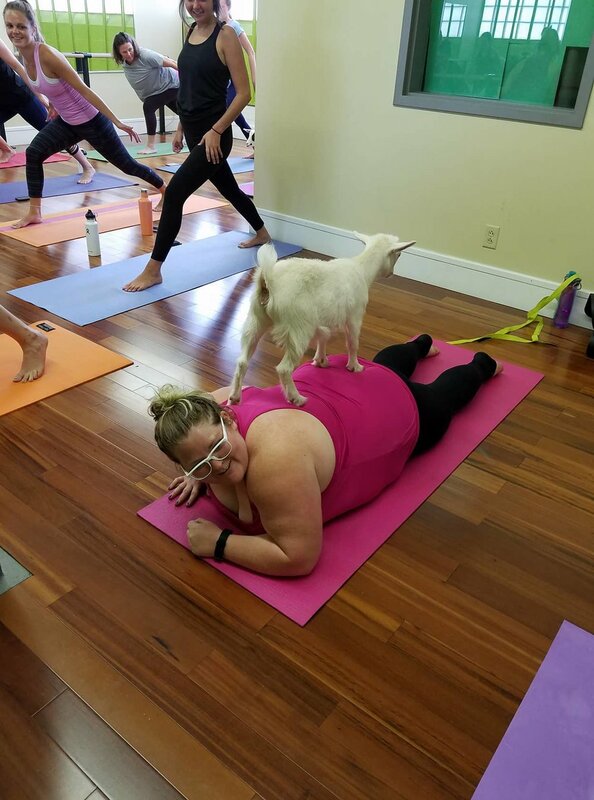 I hope you get the opportunity to stop in and do a class of goat yoga. It's not only good for your body but good for your soul. Live in the moment, my friends- even if you're being pooped and peed on.